It’s an early weekday morning, 6:30 a.m. early. Everything is quiet on Montana Avenue in Santa Monica. You spot a couple joggers, maybe a person walking their dog, and that bicycle group that swears they’re on the Tour de France, taking up half the street. Your patience is wearing thin… wait, what patience? You haven’t had your coffee yet. Lucky for you, Groundwork Coffee is just up the street. This was me, until I stepped through the doors of Groundwork on Montana Avenue. My first order of business, my daily cortado please! 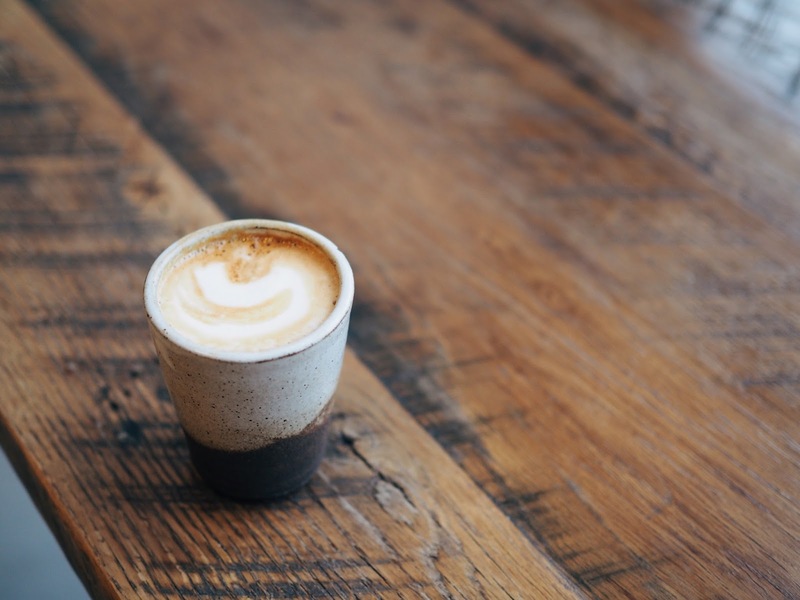 That smooth, bold espresso with perfectly steamed milk, served in a hand-made ceramic cup was just the drink I needed to reset and begin the day again. The space stands out among other coffee shops in the area. The cafe has character and is filled with unique seating and tons of communal tables to engage in conversation with friends, neighbors, or strangers. You can’t help but overhear the cheerful banter from the regulars that stop by for a cup of coffee or bite to eat. Naturally, this isn’t just a coffee stop, but a cafe that invites you to stay and eat. Made to order dishes are served all day long. You can stop in and have yourself an order of French Toast with fresh berries or an open faced egg sandwich with bacon onion compote and arugula. The kitchen, although tiny, puts out solid dishes that are delicious. One of the standouts is the Truffle Avocado Toast mixed with sprouts, lemon juice, chile flakes, and truffle oil on garlic rubbed toast. It’s very good! Also the Huevos Rancheros in a bowl is one of the best versions of this dish you’ll find anywhere on Montana Avenue. Chef Ruben gives this dish a different take. He bakes two wheat tortillas until they’re crispy and flaky. Then he layers refried beans, fresh guacamole, salsa verde, sunny side eggs and tops it with feta cheese. You'll want to finish the entire thing. For lunch you can go with an Ahi Tuna Poke Bowl. The base has brown rice marinated with fish sauce, chopped red onions, then avocado marinated with lemon and soy sauce, scallions and topped with salmon roe. It’s fresh, light, savory, and good. There’s no doubt the menu offers more than your typical chain coffee shop that just warms up a prepackaged breakfast sandwich. This cafe offers more. 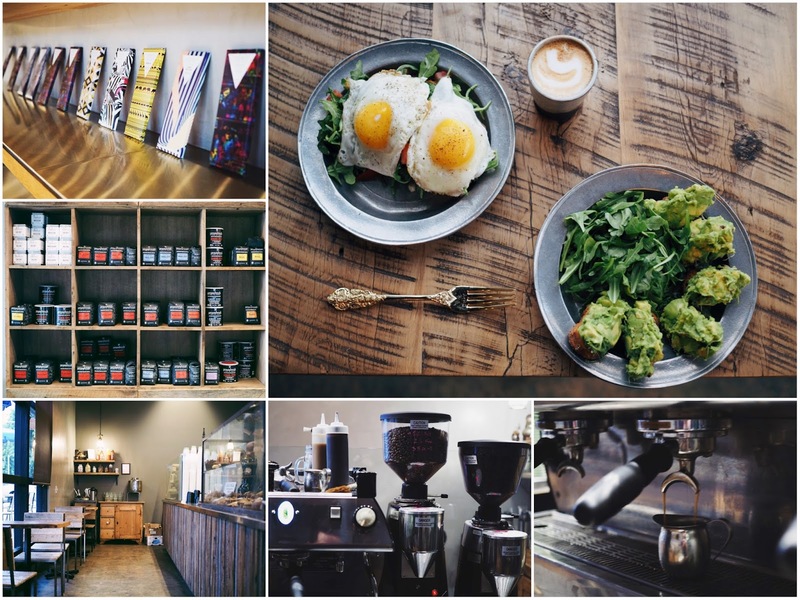 Groundwork Coffee and Eatery on Montana Avenue invites you to stay for a while. 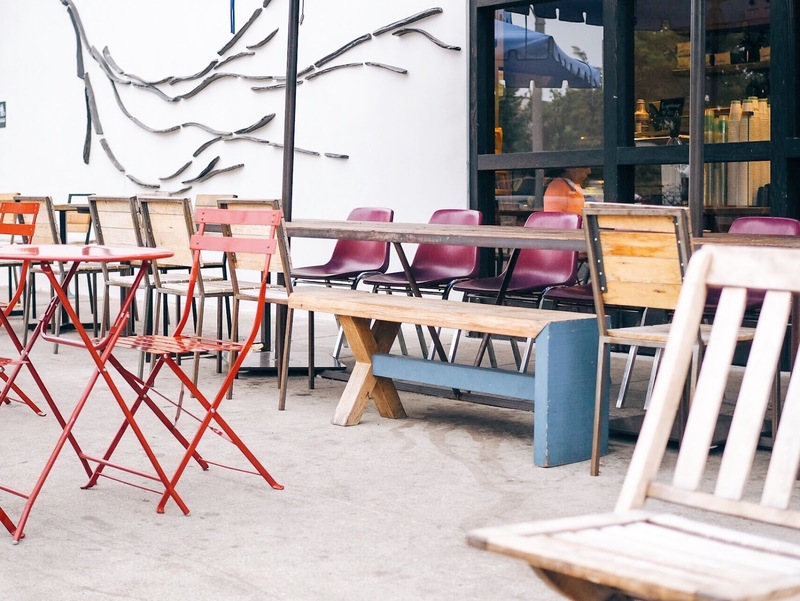 Sure, there are regulars rushing to work that grab their lattes to-go, but on weekends people gather around the communal tables outside, listening to live music and sipping away at their coffee. Truffle Avocado Toast mixed with sprouts, lemon juice, chile flakes, and truffle oil on garlic rubbed toast. Open faced egg sandwich on crispy toast with cilantro pesto, bacon onion compote, arugula, and tomatoes. French Toast with Compartes 72% dark chocolate, housemade strawberry preserve, fresh mixed berries, powdered sugar and a sprinkle of sea salt served with Mascarpone and Maple Syrup. Huevos Rancheros in a bowl: two layers of crispy baked wheat tortillas with refried beans, guacamole, feta cheese, salsa verde and sunny side up eggs. Ahi Tuna Poke Bowl: brown rice marinated with fish sauce, chopped red onions, avocado marinated with lemon and soy sauce, scallions and topped with salmon roe. Gluten-free tiramisu made with dark chocolate, mascarpone, cream cheese and vanilla extract. Berry Short Cake with honey graham cracker crust. 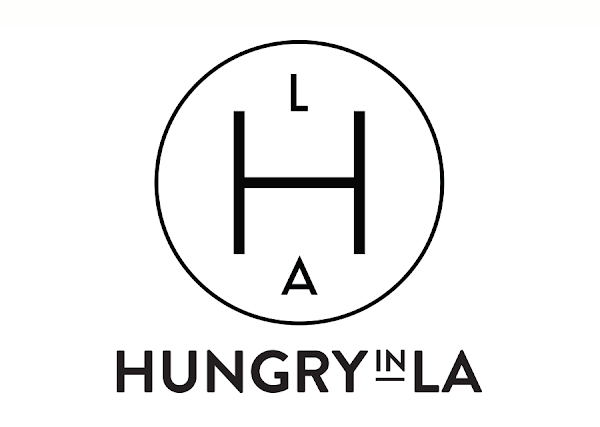 Special thanks to Groundwork Coffee on Montana Avenue for collaborating with Hungry in LA. As always, the content and opinions expressed here are entirely my own.